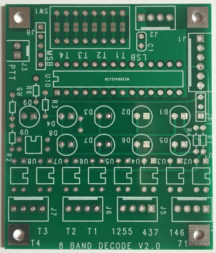 The LimeSDR mini is supported by the Portsdown DATV system as a direct alternative to the Portsdown filter-modulator board and provides coverage from 30 MHz to 3.5 GHz. All units are sent First Class signed for – note we ONLY ship to UK and Europe. Before buying, please read the full description below giving more details of device coverage and limitations plus the support BATC will provide. Because of this, the BATC shop will not be re-stocking after the current stock is sold. The LimeSDR mini is supported by the Portsdown DATV system as a direct alternative to the Portsdown filter-modulator board and provides coverage from 30MHz to 3.5 GHz. While the filter-modulator board might be the best solution for high symbol rate DVB-S QPSK, the LimeSDR Mini offers the potential to transmit more bandwidth efficient modes such as DVB-S2 32APSK at 1 MS and below and is ideal for Es’hail-2. 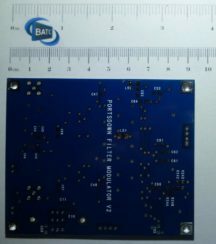 For more details see https://wiki.batc.org.uk/Using_LimeSDR_with_Portsdown and the forum thread dedicated to the LimeSDR Mini viewforum.php?f=120 This forum should be your first port of call for any questions you have about using LimeSDR Mini in a Portsdown system. The LimeSDR Mini can also be used as a standalone SDR receiver covering 30MHz to 3.5GHz. 1. BATC sell this product as part of the Portsdown system. Whilst it may well work with other DATV systems and as an SDR Rx and TX when used with other s/w, BATC can only provide support when it is used with the Rpi based Portsdown system. 2: BATC do not provide support for this product. All support is provided by the manufacturers through the Myriad RF Website and forum: https://discourse.myriadrf.org/. No telephone or e-mail support is available. 3: BATC is only permitted to ship to the UK and Europe. Whilst you can order for shipment outside these areas, the shipping cost is set deliberately high to prevent orders from being placed and it is cheaper to buy directly from Crowd Supply in the USA. 4: BATC reserves the right to refuse orders from Countries outside the UK and Europe. 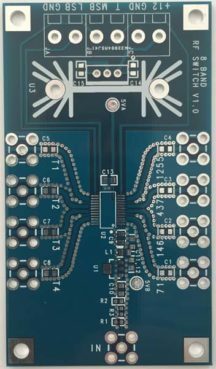 5: When using the LimeSDR Mini in a Portsdown system, as well as not needing the Filter Modulator board you do not need to buy an ADF4351 Local Oscillator board or to buy and build an LO filter module.